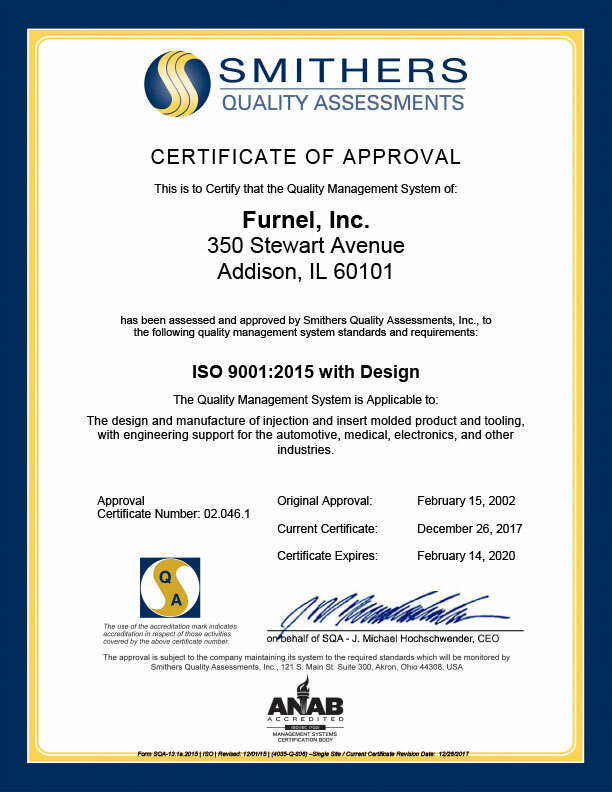 At Furnel, Inc. our goal is to find new ways to support our customers with innovative design concepts thus reducing costs and increasing product quality and reliability. We offer full engineering support and work with the best and most updated software programs for design – SolidWorks 2014 and Master Cam X8. Furnel, Inc. is dedicated to providing our customers with the highest quality products and services in a timely manner at a competitive price. Furnel, Inc. has been successfully implementing this policy through honesty, integrity, and continuous improvement. This professionalism is the result of corporate leadership, teamwork, open communications, customer/supplier partnership, and state-of-the-art manufacturing. Furnel attended Design2Part, the largest design & manufacturing show in the midwest!